As a young boy I grew up into my teens on my father's small crop farm. As an adult I have always grown fruit and veggies perhaps in respect of my early days on the farm. I have always loved growing things and enjoying the results of my efforts. I spend a lot of time in what I call my "kingdom"
Having bees in your backyard takes a bit of preplanning. Not only do you have to decide where you are going to place them but also where their flight paths will be and how you are going to keep them out of the way of human and animal traffic. 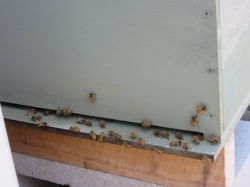 Bees can be hard work for the hobbyist but a lot of this has been taken away by the development of the FLOW HIVE. 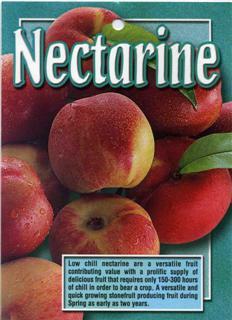 Like all horticultural and agricultural pursuits having bees to manage means that there are both pests and diseases that need to be controlled and that anyone contemplating getting hold of a hive should research what is required by the various State Departments of Primary Industries, such as licensing, local council rules and they would be wise to join a local be club for local information. There are a lot of issues to consider such as local climate, availability of nectar sources, your ability to sometimes lift heavy objects, your possible allergic reaction to bee stings are just some. Dec 2017 A huge crop of honey this year and great pollination.. even through winter and the girls need robbing again! Pest Control: There are several pests and diseases to affect the colonies. What amazing vines these are. 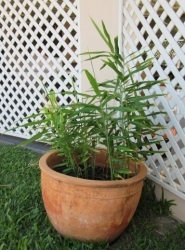 I bought them (2)as rooted cuttings and planted them on a 1.8m vine. Their first season theygrew past the top wire and then set a couple of small bunches of small seeded black grapes. 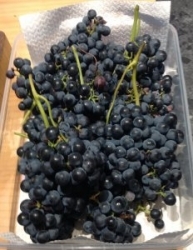 During the last spring (2016) they set 48 large bunches of these small black grapes which I thinned by cutting the bunches in half so that the final fruit was larger. We are harvesting every couple of days. 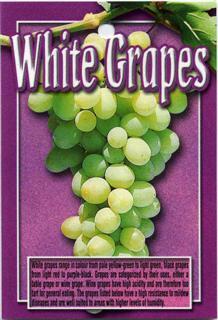 They are not table grapes but when chilled are very refreshing and very moreish. I have tried growing this variety previously with no luck, however I now understand that my efforts were doomed to failure because I was trying to grow them in the wrong location. 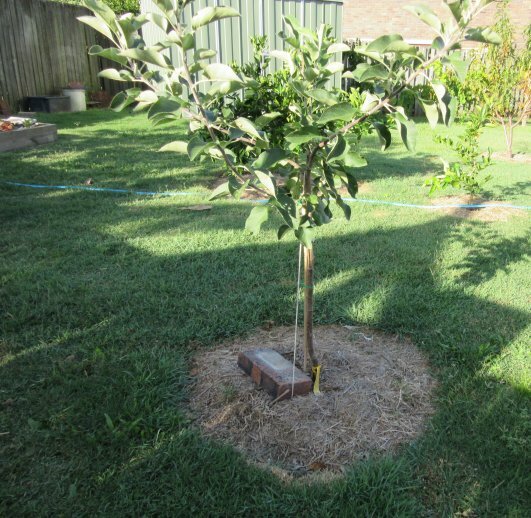 A different home and an appropriate location should serve the new tree well. April 2015. This tree is now going full steam ahead and I am really hopeful that I will see some fruit on it this season. It is now significantly larger with a lot of new growth. June 2016 A successful crop of 30 really sweet navels. 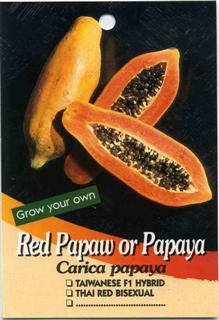 I feel happy now :) I can't believe how juicy and sweet this crop is compared to shop bought fruit. 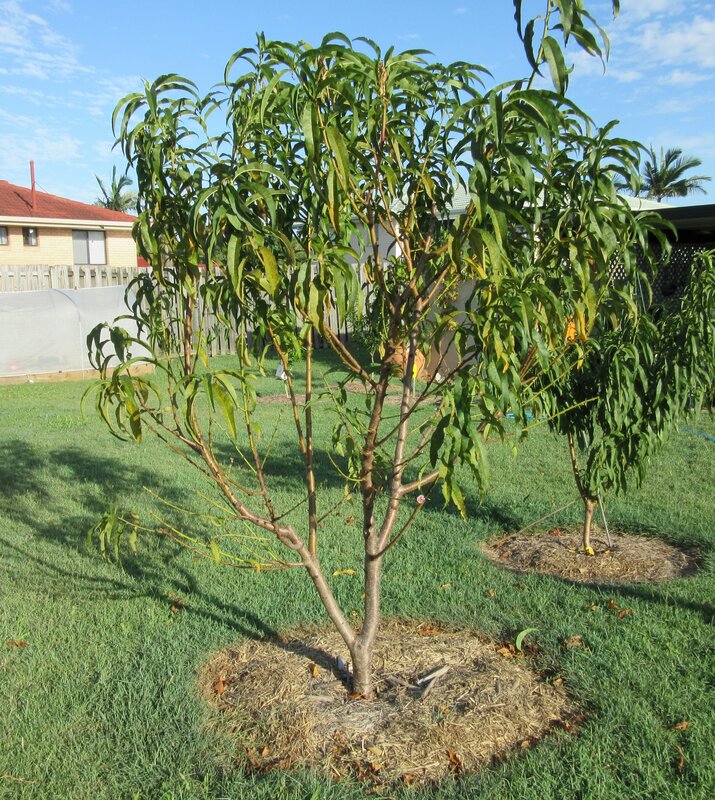 Dec 2016 This tree is now 2 metres tall and has a great crop on it. Really looking forward to harvest time next year. 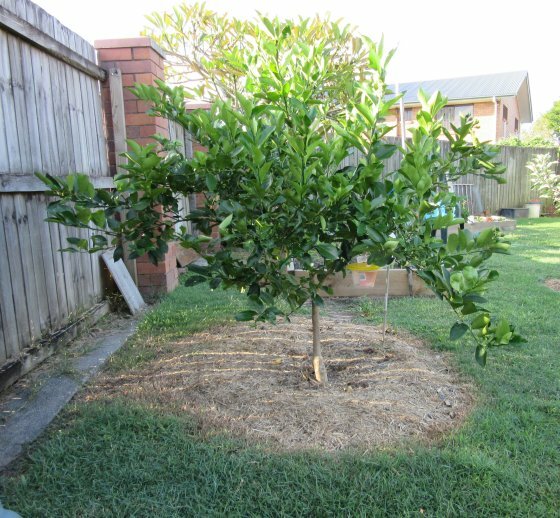 A couple of things that I think have contributed to the harvest over the past 2 years: Clearing the ground of grass out to the drip line, mulching heavily, fertilising at the change of each season and regular watering from the first blossom. 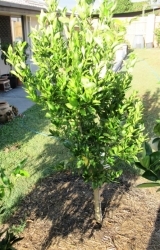 This is the second of my two mandarine trees, the other being an Imperial. Unknown rootstock as it was not identified on the tag.June 2016. This tree set as first fruit last season and in a couple of weeks will be picking its second crop. 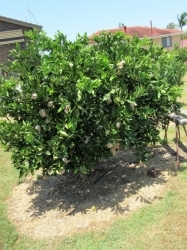 It has not been as fruitful as the Imperial even though it is in the same environment and gets the same care. 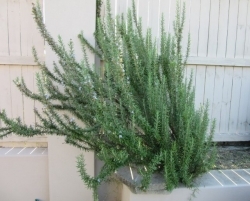 Nor is it as vigorous however this may be the result of differing root stock. Its advantage is that it will harvest later than the Imperial and thereby extend the season. Usual citrus management means that all my citrus are dealt with at the same time. 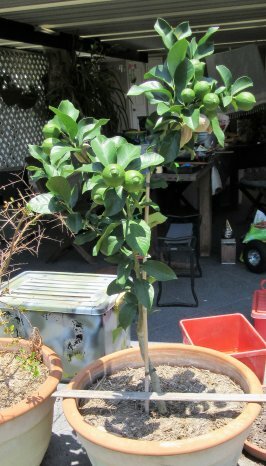 I bought the book "Growing Apples in the Tropics" by Kevin Hauser from Kufflel Creek Nursery where he advocates that it is possible to obtain decent apple crops from varieties that have chill hours above those accepted as low chill varieties and that he sells his trees into the warmer areas of Africa. 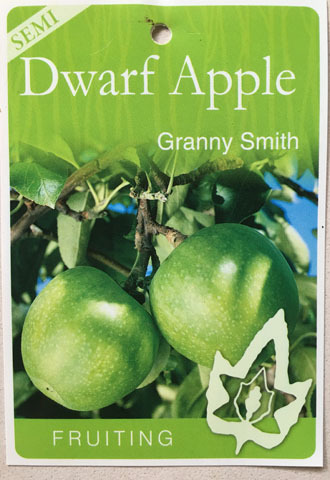 So my Dwarf Royal Gala and Granny Smith are going to be grown using his methods. Already my Anna and Tropic sweet are flowering using his methods. Not enough yet for pollination but we are still 2 weeks from spring! 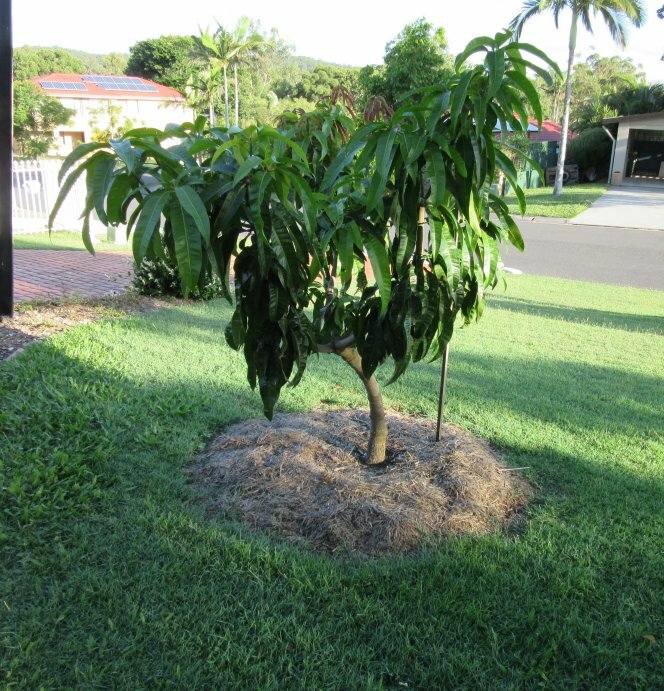 Jan 2017: Royal Gala must be self fertile to some degree as the tree is setting fruit where ever it flowers.There is not anything else in flower in the garden and being iin a sub tropic cl imate I don't expect that there would be anyone else close by trying the same thing. Anyhow it will be interesting to see what happens. Dec 2017 A small crop of quite nice apples coming on. It was late coming into flower but coincided with the Granny Smith so it set a lot fo fruit that I have had to thin heavily..
Dec 2017 A small crop of quite nice apples coming on. It was late coming into flower but cooincided wiht the Gala so it set a lot fo fruit that I have had to this heavily.. 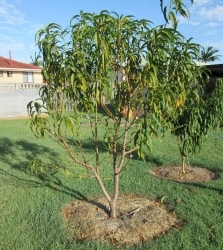 This variety will extend the harvest time of my stone fruit. 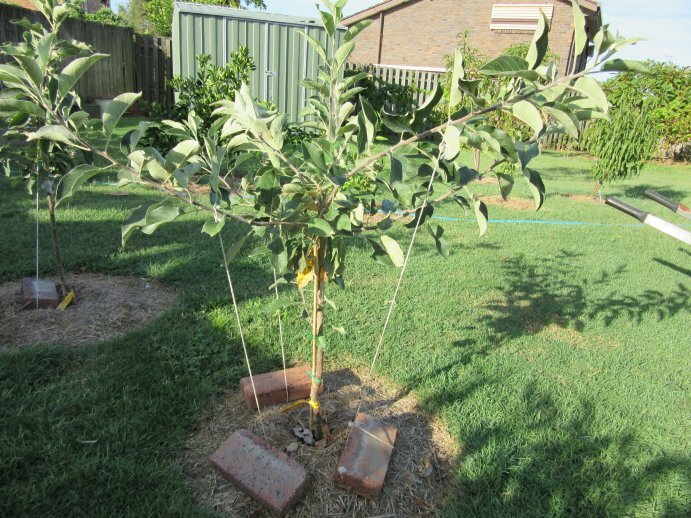 It is already in flower (March 2015) which surprises me as it hasn't dropped its leaves so I may pull the flowers off if sets fruit. March 2015. 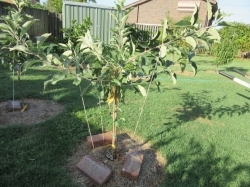 The tree has gone though another flowering and is setting fruit at the moment. 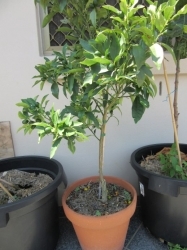 This was the habit of the one we had at our other home.. flower spring and autum, setting fruit each time. 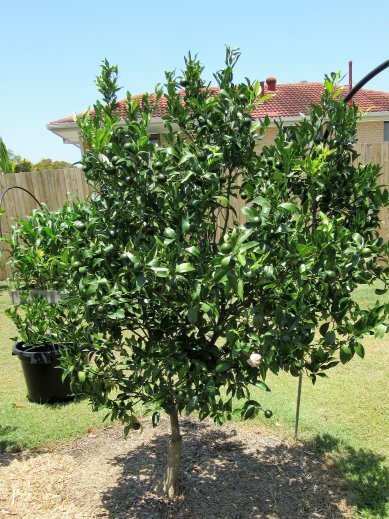 April 2015: A lot of fruit has now set and another crop of flowers has appeared. 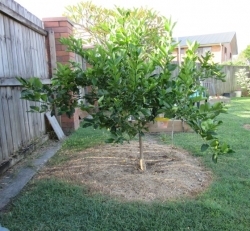 I had this growing in our last home and it was a wonderful tree and a great bearer of sweet juicy fruit that survived on the tree well.When we moved into our new home I decided to give this another go. December 2016 This tree is doing exceptionally well. I thinned the crop quite heavily for this year as there are so many immature fruit it that I couldn't see it holding them all. I am aldo sure that ckearing the ground of competing grass to the drip line, muclhing and fertilising at the change of each season has made a big difference. May 2017. What a great tree this tree is! Over 100 beautiful mandys harvested this year. What a goer! 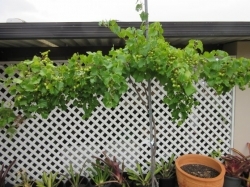 I bought this Adonis Muscadine and a Nobel about 18 months ago and planted them alongside my 4 Vitus Vinifera on the same trellis. 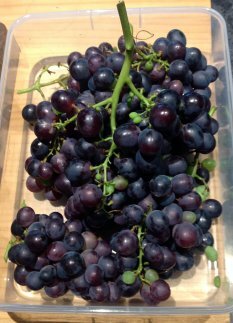 Both reached the top wire in short time and both produced fruit in their first season, the Noble a couple of small bunches of small black grapes of little flesh and quite a few seeds. The Adonis produced several bunches of large golden, sweet, seeded grapes, quite different from what we tend to expect with our Vitus Vinifera varieties. What I didn't expect was the Adonis would continue to flower and ripen these small bunches throughout the year! 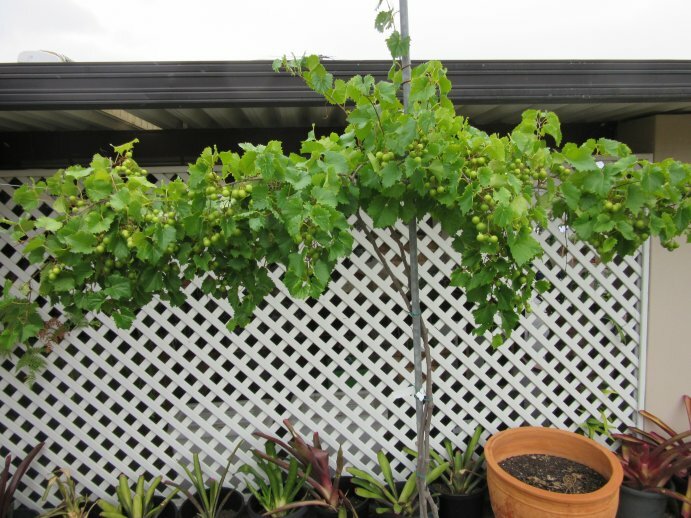 What I learnt was that the Muscadines were rampant and after investigating I found out that in the lower eastern states of the US where they are native is that they need more room and a different trellising system from my other varieties. It seems that in the US they give the Muscadines 3m of trellis on each side often using a single wire set about 1.5-1.8m above the ground. They seem to be spur pruned and left with long cordons. So my Muscadines have to be moved and I have room for only one plant so it does not take any imagination as to which one will survive the transitiion. I bought 2 pineapples at Woolies just for the tops. 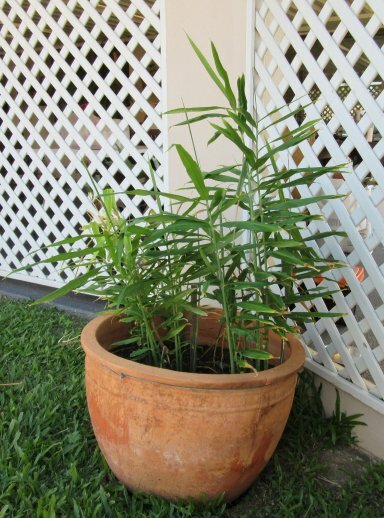 I wanted something II could make a statement with in 2 large terra cotta pots and fully grown pineapples should certainl do this with them growing to around 1.5m high and wide. 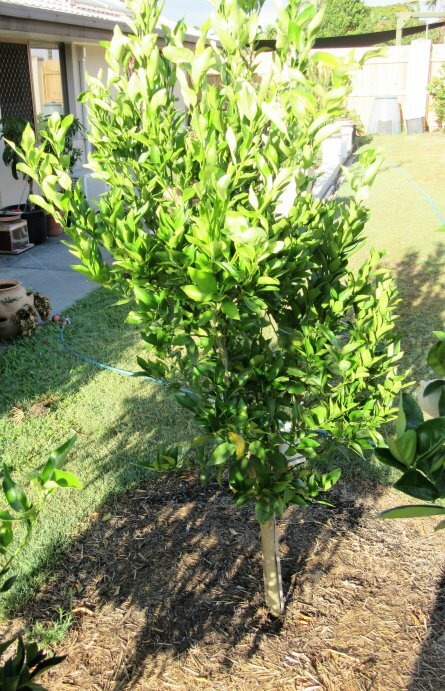 I had always thought that the only thing Kumquats were good for was the making of marmalade. Until, until that is when I recently had one to eat. The initial reation was the reaction to the sourness of the juice, but then as I started to chew on the skin I realised just how sweet it was. I was an immediate convert! I am growing this in a pot and it has suffered some fruit drop in the hot dry weather we are having.at the moment. I am going to have to get a good layer of mulch on it. 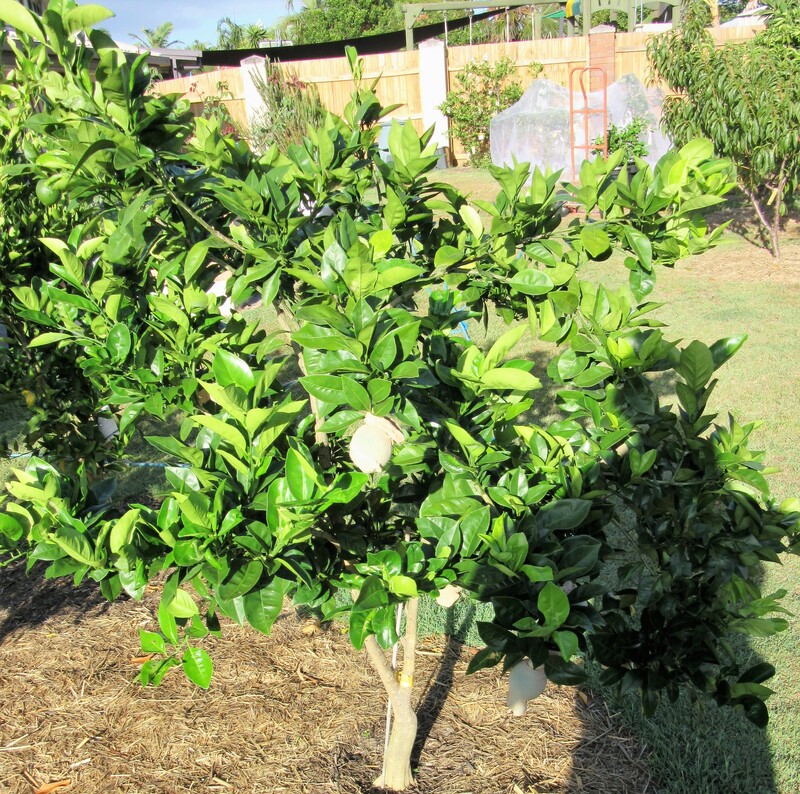 Pest Control: I imagine that it will be subject to the usual citrus pests; leaf miner,gall wasp etc and the usual treatments will apply. 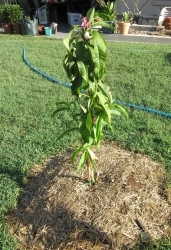 This has been grown from ginger bought from the grocer. It didn't do much last year in its first season and we had no crop. However this year it is growing reallly well and we should have some for the kitchen. April 2015: There has been a lot of new growth this year and several flower heads are emerging. I don't know how these will affect the plant as this is the first time I have grown ginger. I have grown them in another places. I have enjoyed the ability to be able to just pluck one off the tree and eat it out of the hand and I am looking forward to being able to doing the same with this tree. June 2016. This past season has also been a disappointment this tree. 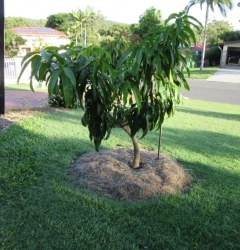 I shall have to apply the same thinning principle as with the Peachtree. 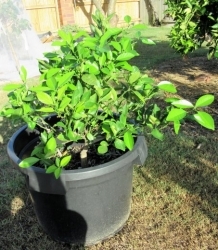 Net the tree for fruit fly. 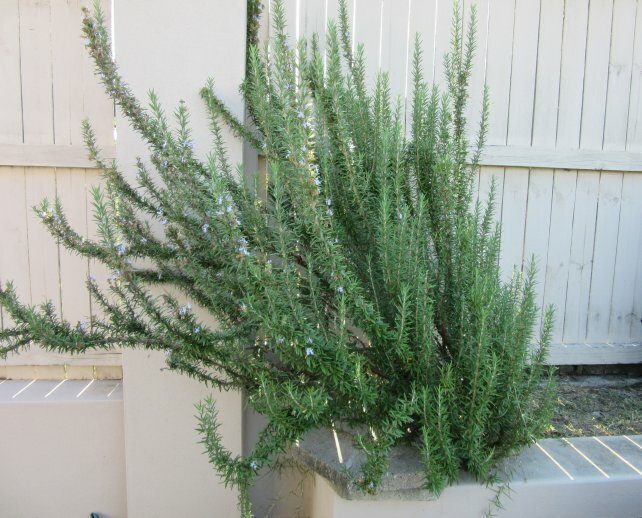 Rosemary is a wonderful herb to be used i the kitchen. This plant came from a friend's hedge. I have no idea as to its origin but whatever they are, they are welcome in our kithen. We water it when we think of it, never prune it, and never feed it! 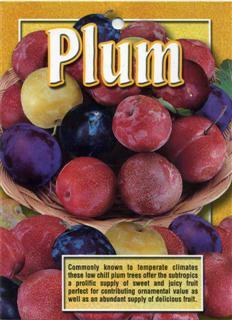 Comments: - This is one of the two plums that I have bought recently as my first foray into low chill plums. The gulf gold and the gulf ruby are intended to cross polinate each other. 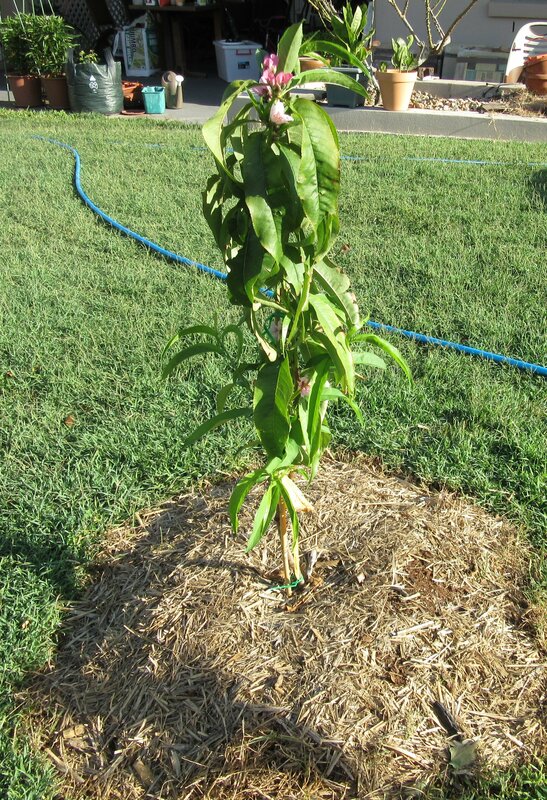 Hoping for fruit next year. 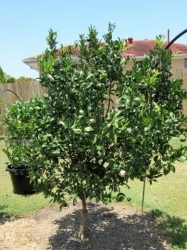 Pest Control: Trees will be netted.